In November 2006, John Schuessler retired as MUFON’s International Director and James Carrion was selected as his replacement. The headquarters was relocated to Fort Collins, Colorado. In 2008, James Carrion, Jan Harzan, Chuck Modlin and John Schuessler met with Robert Bigelow and his team to seek ways to establish cooperation between the organizations. Later, Carrion negotiated a contract with Bigelow Aerospace that allowed MUFON to organize a funded rapid-response effort that could put investigators in the field on high value UFO cases within 24-hours. It also gave Bigelow Aerospace access to the MUFON Case Management System. Unfortunately, dissident UFO buffs quickly came up with nonsense conspiracy theories about the cooperative agreement and spread malcontent and disinformation about it across the Internet. James Carrion resigned in 2009. MUFON board member Clifford Clift volunteered to head MUFON after the loss of James Carrion and was able to keep MUFON moving forward. He immediately moved the MUFON headquarters to Greeley, Colorado, hired an accounting firm to handle MUFON's finances, and obtained funds from the MUFON Board Members to keep the organization afloat. He had to make some difficult decisions in replacing some state directors that were not working in the best interests of the organization and that again riled the dissident UFO buffs and they used the Internet to rail against Clifford Clift and the MUFON Board of Directors. Even so, he was able to cut operational costs, stabilize the MUFON financial situation, cut the financial losses associated with the annual MUFON International UFO Symposium, and continue the improvements to the Case Management System, the MUFON UFO Journal, and field investigations. Cliff led the organization until the end of January 2012 when he stepped down for personal reasons. To assure continuity in membership of the MUFON Board of Directors, an intern program for future board members was implemented in 2011. As a result MUFON continues to have a 9-member board supplemented by three intern board members. The interns have all of the privileges of other board members except they are not voting members. This change assures that as current board members step down, there is always a intern member that is up-to-speed on all MUFON issues ready to step up. 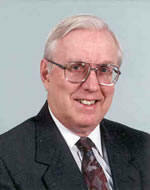 David MacDonald, an intern Board Member, was selected to replace Clifford Clift in February 2012. MacDonald has a strong business background and a life-long interest in UFOs. He moved the MUFON headquarters to Cincinnati, Ohio. He runs Flamingo Air, Inc., a full blown Air Carrier Operation and Flamingo Air Academy, the nation's largest FAA approved Aircraft Dispatcher Certification School. He is a professional pilot and an avid scuba diver. His business background includes establishing the MacDonald Defense Company, the largest independent security firm in the region, opening a manufacturing firm which produced an array of wireless microphones, listening devices, and other clandestine gizmos. He served eight years as a peace officer in Kentucky. His involvement in MUFON includes: State Director for Kentucky, Field Investigator Administrator, STAR Team Administrative Director and Assistant Director of Investigations and in 2011 he was selected as an Interim Board Member. At the 2013 MUFON Symposium in Las Vegas, it was announced that Jan C. Harzan would be taking over the role of Executive Director. Jan is a graduate of the UCLA School of Engineering and spent 37 years with IBM in sales and marketing executive management before retiring to become Executive Director of MUFON. His career included being IBM Branch manager in Orange County, CA. IBM Services Executive in Vancouver, Canada, and IBM Senior Project Executive on the Boeing, Disney, and Technicolor accounts over the last 14 years of his career managing large outsourcing contracts for IBM. Jan has been actively involved with MUFON since 1991. In 1995 he was appointed by State Director Georgeanne Cifarelli to State Section Director Orange County, CA. In 2001 Jan was elected to the MUFON Business Board after a successful MUFON Symposium in Irvine, CA. This success was repeated in 2011 with the Symposium again held in Irvine, CA. Jan has been instrumental in the creation of MUFON’s Mission and Goals, as well as the creation of the MUFON Case Management System (CMS) used by State Directors and field investigators worldwide for reporting UFO sightings, assigning a case to an FI, and archiving the UFO Case and investigation data in the MUFON Files for future research. and has an active business board of directors. MUFON is already leading the charge to solve the UFO mystery once and for all and you are invited to join us on this great journey as both a member and active participant.